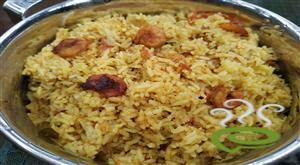 Nadan Fish Biriyani (Meen Biryani)is one of the most authentic biriyani dish from North Kerala. 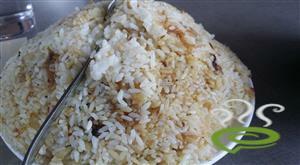 It is a colourful dish made of rice, spices, fish. It is the best lunch on holidays. 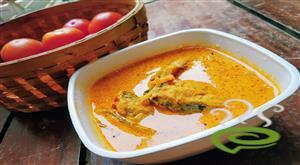 For preparing nadan fish biriyani, marinate fish pieces with chilly powder, turmeric powder and salt for 1/2 an hour. 2)Heat oil in a pan and fry the marinated fish pieces. Remove the fish from the pan. Add green chillies , onion and curry leave to the same oil. SautT well for 5 to 10 minutes. After it is done add ginger paste and garlic paste. Saute it for some time. Toss in the tomato till done. Saute in turmeric, coriander powder, garam masala, fennel powder, pepper powder, fenugreek leaves and salt. After 3 minutes, add yogurt and coriander leaves. Mix it well. Now toss in the fried fish to the masala. Cover the fish with the masala. Close the lid for some time and then remove it from the flame. For the rice, boil water with salt, cinnamon, cardamom, cloves and 1tsp ghee/oil. Then add the rice and pressure cook it for 2 whistles. 11)Take a big vessel and add 1 tsp of ghee around the vessel. 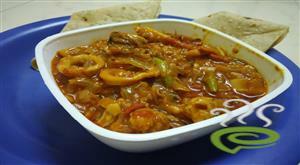 Then add in the prepared fish masala. 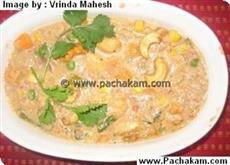 After that add some rice over it and sprinkle a pinch of garam masala, ghee, coriander leaves. Repeat the process till all the rice and the masale is over. After that close the lid and heat it for five minutes on low flame. When the lid become hot remove it from the flame. Open the lid, and finally add 1 tsp ghee into the biriyani. 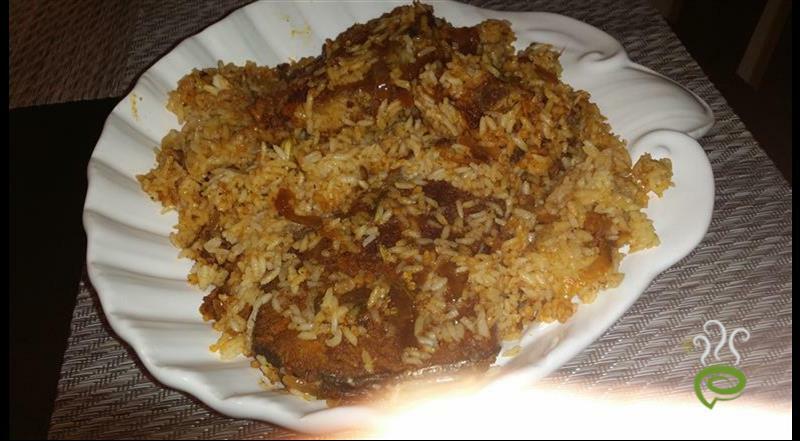 Nadan fish biriyani is ready. 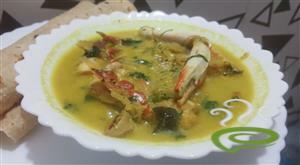 Serve with cucumber or onoin raita. 1)You can add spices according to your taste. Increase the ghee or oil if you like.